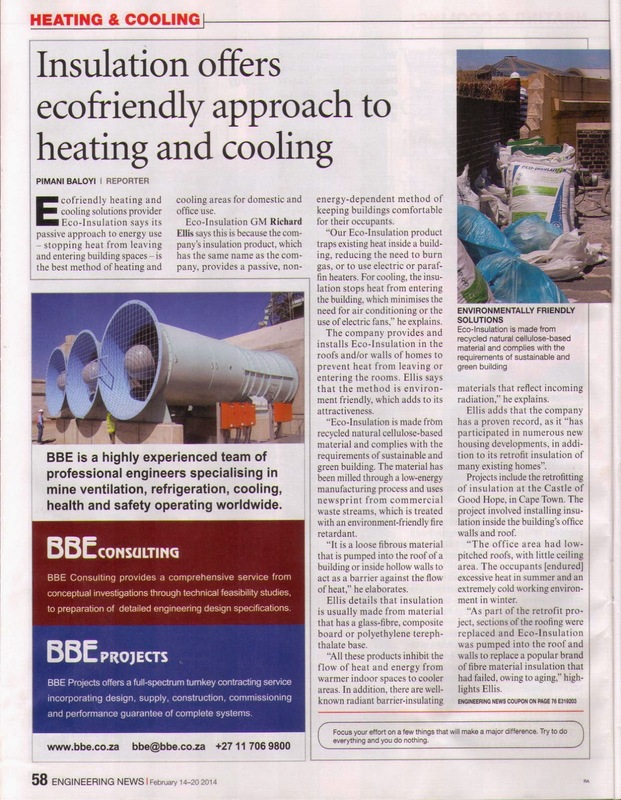 According to popular industry and professional journal, Engineering News, insulation promotes an eco-friendly approach to heating and cooling. Eco-Insulation GM Richard Ellis says this is because the company’s insulation product, which has the same name as the company, provides a passive, non-energy dependent method of keeping buildings comfortable for their occupants. “Our Eco-Insulation product traps existing heat inside a building, eliminating the need to burn gas, or to use electric or paraffin heaters. For cooling, the insulation stops heat from entering the building, which eliminates the need for air conditioning or using electric fans,” he explains. Posted in News / Events.